This article is about the general category of conscientious objector. For the documentary film about Desmond Doss, see The Conscientious Objector. A conscientious objector is an "individual who has claimed the right to refuse to perform military service" on the grounds of freedom of thought, conscience, or religion. In general, conscientious objector status is considered only in the context of military conscription and is not applicable to volunteer military forces. In some countries, conscientious objectors are assigned to an alternative civilian service as a substitute for conscription or military service. Some conscientious objectors consider themselves pacifist, non-interventionist, non-resistant, non-aggressionist, or antimilitarist. On March 8, 1995 the United Nations Commission on Human Rights resolution 1995/83 stated that "persons performing military service should not be excluded from the right to have conscientious objections to military service." This was re-affirmed in 1998, when resolution 1998/77 recognized that "persons [already] performing military service may develop conscientious objections.". A number of organizations around the world celebrate the principle on May 15 as International Conscientious Objectors Day. The term has also been extended to objecting to working for the military-industrial complex due to a crisis of conscience. Historically, many conscientious objectors have been executed, imprisoned, or otherwise penalized when their beliefs led to actions conflicting with their society's legal system or government. The legal definition and status of conscientious objection has varied over the years and from nation to nation. Religious beliefs were a starting point in many nations for legally granting conscientious objector status. In 1974, the Assistant Secretary-General of the United Nations, Sean MacBride said, in his Nobel Lecture, "To the rights enshrined in the Universal Declaration of Human Rights one more might, with relevance, be added. It is ' The Right to Refuse to Kill.'" In 1976, the United Nations treaty the International Covenant on Civil and Political Rights entered into force. It was based on the Universal Declaration of Human Rights, and was originally created in 1966. Nations that have signed this treaty are bound by it. Its Article 18 begins: "Everyone shall have the right to freedom of thought, conscience and religion. ..."
However, the International Covenant on Civil and Political Rights left the issue of conscientious objection inexplicit, as we see in this quote from War Resisters International: "Article 18 of the Covenant does put some limits on the right [to freedom of thought, conscience and religion], stating that [its] manifestations must not infringe on public safety, order, health or morals. Some states argue that such limitations [on the right to freedom of thought, conscience and religion] would [derivatively] permit them to make conscientious objection during time of war a threat to public safety, or mass conscientious objection a disruption to public order,...[Some states] even [argue] that it is a 'moral' duty to serve the state in its military." In 1998, the Human Rights Commission reiterated previous statements and added "states should . . . refrain from subjecting conscientious objectors . . . to repeated punishment for failure to perform military service." It also encouraged states "to consider granting asylum to those conscientious objectors compelled to leave their country of origin because they fear persecution owing to their refusal to perform military service . . . ."
On March 8, 1971, the Supreme Court of the United States ruled in the case of Gillette v. United States that "the exemption for those who oppose "participation in war in any form" applies to those who oppose participating in all war and not to those who object to participation in a particular war only." On September 24, 2003, in Israel, 27 reserve pilots and former pilots refused to serve in only specific missions. These specific missions included "civilian population centers" in "the [occupied] territories." These pilots clarified: "We ... shall continue to serve in the Israel Defense Forces and the Air Force for every mission in defense of the state of Israel." Cases of behaviour which could be considered as religiously motivated conscientious objection are historically attested long before the modern term appeared. For example, the Medieval Orkneyinga Saga mentions that Magnus Erlendsson, Earl of Orkney – the future Saint Magnus – had a reputation for piety and gentleness, and because of his religious convictions refused to fight in a Viking raid on Anglesey, Wales, instead staying on board his ship singing psalms. The reasons for refusing to perform military service are varied. Many conscientious objectors cite religious reasons. Unitarian Universalists object to war in their sixth principle "The goal of world community with peace, liberty and justice for all". Members of the Historic Peace Churches such as Quakers, Mennonites, Amish, Old Order Mennonite, Conservative Mennonites and Church of the Brethren object to war from the conviction that Christian life is incompatible with military action, because Jesus enjoins his followers to love their enemies and to refuse violence. Since the American Civil War, Seventh-day Adventists have been known as non-combatants, and have done work in hospitals or to give medical care rather than combat roles, and the church has upheld the non-combative position. The following is said of the Seventh-day Adventists (SDA) by a neutral, non-SDA organization: "Many Seventh-day Adventists refuse to enter the army as combatants, but participate as medics, ambulance drivers, etc. During World War II in Germany, many SDA conscientious objectors were sent to concentration camps or mental institutions; some were executed. Some Seventh-day Adventists volunteered for the US Army's Operation Whitecoat, participating in research to help others. The Church preferred to call them "conscientious participants", because they were willing to risk their lives as test subjects in potentially life-threatening research. Over 2,200 Seventh-day Adventists volunteered in experiments involving various infectious agents during the 1950s through the 1970s in Fort Detrick, MD. " A schism arose during and after World War I between Seventh-day Adventists in Germany who agreed to serve in the military if conscripted and those who rejected all participation in warfare — the latter group eventually forming a separate church (the Seventh Day Adventist Reform Movement). Jehovah's Witnesses and Christadelphians, refuse to participate in the armed services on the grounds that they believe they should be neutral in worldly conflicts and often cite the latter portion of Isaiah 2:4 which states, "...neither shall they learn war anymore." Other objections can stem from a deep sense of responsibility toward humanity as a whole, or from simple denial that any government possesses the moral authority to command warlike behavior from its citizens. Blessed are the Peacemakers (1917) by George Bellows. In as much as they [Jesus' teachings] ruled out as illicit all use of violence and injury against others, clearly implied [was] the illegitimacy of participation in war... The early Christians took Jesus at his word, and understood his inculcations of gentleness and non-resistance in their literal sense. They closely identified their religion with peace; they strongly condemned war for the bloodshed which it involved. —  The Early Christian Attitude to War. Regardless of nationality, all men are brothers. God is "our Father who art in heaven." The commandment "Thou shalt not kill" is unconditional and inexorable. ... The lowly Nazarene taught us the doctrine of non-resistance, and so convinced was he of the soundness of that doctrine that he sealed his belief with death on the cross. When human law conflicts with Divine law, my duty is clear. Conscience, my infallible guide, impels me to tell you that prison, death, or both, are infinitely preferable to joining any branch of the Army. For believers in Indian religions, the opposition to warfare may be based on either the general idea of ahimsa, nonviolence, or on an explicit prohibition of violence by their religion, e.g., for a Buddhist, one of the five precepts is "Pānātipātā veramaṇi sikkhāpadam samādiyāmi," or "I undertake the precept to refrain from destroying living creatures," which is in obvious opposition to the practice of warfare. The 14th Dalai Lama has stated that war "should be relegated to the dustbin of history." On the other hand, many Buddhist sects, especially in Japan, have been thoroughly militarized, warrior monks (yamabushi or sōhei) participating in the civil wars. Hindu beliefs do not go against the concept of war, as seen in the Gita. Both Sikhs and Hindus believe war should be a last resort and should be fought to sustain life and morality in society. The idea of conscientious objection has existed since the incorporation of forced military service but was not officially recognized until the twentieth century, when it was gradually recognized as a fundamental human right as a part of the freedom of conscience. Despite the fact that international institutions such as the United Nations (UN) and the Council of Europe (CoE) regard and promote conscientious objection as a human right, as of 2004, it still does not have a legal basis in most countries. Among the roughly one-hundred countries that have conscription, only thirty countries have some legal provisions, 25 of them in Europe. In Europe, most countries with conscription more or less fulfill international guidelines on conscientious objection legislation (except for Greece, Cyprus, Turkey, Finland and Russia) today. In many countries outside Europe, especially in armed conflict areas (e.g. Democratic Republic of the Congo), conscientious objection is punished severely. While conscientious objectors used to be seen as deserters, traitors, cowards, slackers or simply un-patriotic, their image has changed drastically in the Western world in past decades. Especially in Europe, where objectors usually serve an alternative civilian service, they are regarded as making an equally important contribution to society as conscripts. Parallel to that, the number of objectors has risen significantly, too : e.g., in Germany, where conscientious objection is a constitutional right, from less than one percent of all eligible men to more than fifty percent in 2003. In 1991, The Peace Abbey established the National Registry for Conscientious Objection where people can publicly state their refusal to participate in armed conflict. After their service, objectors are not allowed to take jobs that require them to carry weapons, such as police jobs until the age of 42. Any male getting drafted, but unwilling to serve, has the ability to avoid military service by instead serving community service for the duration of the conscription. Under the Nazis, conscientious objection was not recognized in the law. In theory, objectors would be drafted and then court-martialled for desertion. The practice was even harsher: going beyond the letter of an already extremely flexible law, conscientious objection was considered subversion of military strength, a crime normally punished with death. On September 15, 1939 August Dickmann, a Jehovah's Witness, the first conscientious objector of the war to be executed, died by a firing squad at the Sachsenhausen concentration camp. Among others, Franz Jägerstätter was executed after his conscientious objection, on the grounds that he could not fight in the forces of the evil side. He is now somewhat the patron saint of conscientious objectors. After World War II, there was no official right to conscientious objection in the German Democratic Republic. Nevertheless, and uniquely among the Eastern bloc, objections were accepted and the objectors assigned to construction units. They were however part of the military, so that a fully civilian alternative did not exist. Also, "construction soldiers" were discriminated against in their later professional life. According to Article 12a, a law may be passed that requires every adult male to military service called Wehrdienst; also, a law can require conscientious objections to a service of utterly non-military nature (called Zivildienst) no longer than the Wehrdienst. Both laws were passed, and, until the suspension of the draft in 2011, required men to perform such actions. Initially, conscientious objectors had to be accepted, appearing in person, by committees installed for that purpose at the draft offices (or contest a negative decision at the administrative court). The suspension of the procedure (1977), allowing to "object with a post card", was ruled unconstitutional in 1978. Beginning in 1983, the competence was shifted to the Zivildienst office (judging over a written justification without appearing in person) and was generally considered to be not much more than a formality. The Zivildienst was for times up to one third longer than the Wehrdienst, which seemed to contradict the Constitution at first sight but was jointly justified by the fact that soldiers could later be called to military exercises (Wehrübungen), had to work longer, and that with the more lenient acceptation since 1983, the will to endure some additional hardship should serve as a test of conscience (ruled constitutional by the Court of Constitution in 1985). The difference was decreased over time, and equal length was reintroduced in 2004. The Wehrdienst was controversial through all the time of its existence. Among the reasons mentioned were: that people could be required to fight against their German co-nationals, that men were discriminated against, and that especially after the end of the Cold War, a rather arbitrarily selected part of a year's male youth was drafted (by direct non-drafting of capable young men, and by, supposedly, artificially high standards in medical examination), contradicting the "service justice" (Wehrgerechtigkeit). President Roman Herzog said in a speech in 1994 that only necessity for national defence, not any other arguments can justify the draft. (Interestingly enough, the necessity of Zivildienst performers to assist in social services, especially in the health area, came to be generally considered such an "other argument".) Though the context clearly indicates that in his opinion this necessity was still given, the speech was frequently cited in favor of suspension. As of 2011 the draft has been halted in Germany, primarily for the latter reasons (service justice, and a changed view of its necessity). In the present day, Russian draft legislation allows people to choose an alternative civilian service for religious or ideological reasons. Most objectors are employed in healthcare, construction, forestry and post industries, serving 18 to 21 months. Conscientious objectors ... often spend the rest of their lives tainted by their decision... Criminal records from draft dodging make it difficult for objectors to find good jobs and the issue of army service is often raised by potential employers during job interviews. Conscientious objection was not permitted in Francoist Spain. The Spanish Constitution of 1978 acknowledged conscientious objectors. The Spanish parliament established a longer service (Prestación Social Sustitutoria) as an alternative to the Army. In spite of this, a strong movement appeared that refused both services. The Red Cross was the only important organisation employing objectors. Because of this, the waiting lists for the PSS were long, especially in areas like Navarre, where pacifism, Basque nationalism and a low unemployment rate discouraged young males from the army. Thousands of insumisos (non-submittants) publicly refused the PSS, and hundreds were imprisoned. In addition a number of those in the military decided to refuse further duties. A number of people not liable for military service made declarations of self-incrimination, stating that they had encouraged insumisión. The government, fearing popular reaction, reduced the length of service and instead of sentencing insumisos to prison declared them unfit for public service. The issue is highly controversial in Turkey. Turkey, Armenia and Azerbaijan are the only three countries refusing to recognize conscientious objection and sustain their membership in the Council of Europe. In January 2006, the European Court of Human Rights (ECHR) found Turkey had violated article 3 of the European Convention on Human Rights (prohibition of degrading treatment) in a case dealing with the conscientious objection of Osman Murat Ulke. In 2005, Mehmet Tarhan was sentenced to four years in a military prison as a conscientious objector (he was unexpectedly released in March 2006). Journalist Perihan Magden was tried by a Turkish court for supporting Tarhan and advocating conscientious objection as a human right; but later, she was acquitted. As of March 2011, there were 125 objectors including 25 female objectors in Turkey. Another 256 people of Kurdish origin also had announced their conscientious objection to military service. Conscientious objector İnan Süver was named a prisoner of conscience by Amnesty International. Although a few objectors were accepted for non-combatant service in the Royal Army Medical Corps, acting as nursing/paramedic assistants, the majority of non-combatants served in the Non-Combatant Corps on non-lethal stores, road and railway building and general labouring in the UK and France. Conscientious objectors who were deemed not to have made any useful contribution to the state were formally disfranchised (through a clause inserted in the Representation of the People Act 1918 at the insistence of chauvinist back-bench MPs) for the five years 1 September 1921 - 31 August 1926, but as it was an ill-prepared last-minute amendment there was no administrative machinery to enforce such disfranchisement, which was admitted to be a "dead letter". Britain's conscription legislation of 1916 did not apply to Ireland, despite it being then all part of the United Kingdom. However, in 1918 the Army's continuing demand for yet more cannon-fodder led to passing a further act enabling conscription in Ireland if and when the government saw fit. In the event, the government never saw fit, although the legislation led to the Conscription Crisis of 1918. Similarly, British conscription in the Second World War did not apply to Northern Ireland. Nevertheless, many Irishmen volunteered to fight in both world wars. The various parts of the British Empire and Commonwealth had their own laws: in general, all the larger countries of the Empire participated, and some were, in proportion to their population, major participants in the First World War. In the Second World War, following the National Service (Armed Forces) Act 1939, there were nearly 60,000 registered Conscientious Objectors. Testing by tribunals resumed, this time by special Conscientious Objection Tribunals chaired by a judge, and the effects were much less harsh. If you were not a member of the Quakers or some similar pacifist organisation, it was generally enough to say that you objected to "warfare as a means of settling international disputes", a phrase from the Kellogg-Briand Pact of 1928. The tribunals could grant full exemption, exemption conditional on alternative service, exemption only from combatant duties, or dismiss the application. Of the 61,000 who were registered, 3,000 were given complete exemption; 18,000 applications were initially dismissed, but a number of such applicants succeeded at the Appellate Tribunal, sometimes after a "qualifying" sentence of three-months' imprisonment for an offence deemed to have been committed on grounds of conscience. Of those directed to non-combatant military service almost 7,000 were allocated to the Non-Combatant Corps, re-activated in mid-1940; its companies worked in clothing and food stores, in transport, or any military project not requiring the handling of "material of an aggressive nature". In November 1940 it was decided to allow troops in the NCC to volunteer for work in bomb disposal. In total over 350 volunteered. Other non-combatants worked in the Royal Army Medical Corps. For conscientious objectors exempted conditional upon performing civil work, acceptable occupations were farm work, mining, firefighting and the ambulance service. About 5,500 objectors were imprisoned, most charged with refusal to attend a medical examination as a necessary preliminary to call-up after being refused exemption, and some charged with non-compliance with the terms of conditional exemption. A further 1,000 were court-martialled by the armed forces and sent to military detention barracks or civil prisons. Differently from the First World War, most sentences were relatively short, and there was no pattern of continually repeated sentences. Nevertheless, the social stigma attached to 'conchies' (as they were called) was considerable: regardless of the genuineness of their motives, cowardice was often imputed. William Coltman, VC, DCM & Bar, MM & Bar (17 November 1891 – 29 June 1974) was an English recipient of the Victoria Cross (VC), the highest award for gallantry in the face of the enemy that can be awarded to British and Commonwealth forces. He was the most decorated Other rank of the First World War. A conscientious objector, his Christian beliefs prevented him from taking up arms, but as a stretcher bearer he won all his medals without firing a shot. The first conscription in the United States came with the Civil War. Although conscientious objection was not part of the draft law, individuals could provide a substitute or pay $300 to hire one. By 1864 the draft act allowed the $300 to be paid for the benefit of sick and wounded soldiers. Conscientious objectors in Confederate States initially had few options. Responses included moving to northern states, hiding in the mountains, joining the army but refusing to use a weapon, or being imprisoned. Between late 1862 and 1864 a payment of $500 into the public treasury exempted conscientious objectors from Confederate military duty. — Mennonite from Camp Lee, Virginia, United States, 16 July 1918. During World War II, all registrants were sent a questionnaire covering basic facts about their identification, physical condition, history and also provided a checkoff to indicate opposition to military service because of religious training or belief. Men marking the latter option received a detailed form in which they had to explain the basis for their objection. Civilian Public Service (CPS) provided conscientious objectors in the United States an alternative to military service during World War II. From 1941 to 1947 nearly 12,000 draftees, unwilling to do any type of military service, performed work of national importance in 152 CPS camps throughout the United States and Puerto Rico. Alternatives to war bonds and war savings stamps were provided for those who would not fund the war for conscientious reasons. National Service Board for Religious Objectors offered civilian bonds and the Mennonite Central Committee offered Civilian Public Service stamps and War Sufferers' Relief stamps. Today, the two main criteria for classification as a conscientious objector are that the objector must be opposed to war in any form, and the objection must be sincere. A 1971 United States Supreme Court decision, Gillette v. United States, broadened U.S. rules beyond religious belief but denied the inclusion of objections to specific wars as grounds for conscientious objection. When attempting to establish his status as a non-combatant, Desmond T. Doss was told there was no such thing. 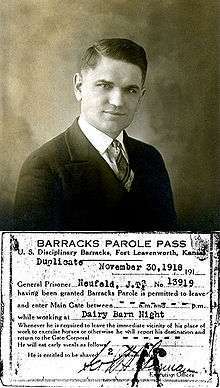 But, to get around the problem, he was informed he could register as a conscientious objector. Doss made clear he was not an Objector because he would willingly serve his country, wear a uniform, salute the flag and help with the war effort. He only became a conscientious objector to join the army. 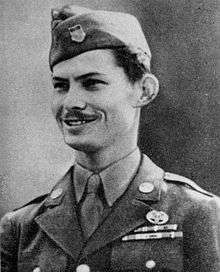 On May 5, 1945, Desmond Doss received the Medal of Honor from President Harry S. Truman. This medal is the highest award for valor in action against an enemy force. By helping to support and maintain the war, Desmond was the first noncombatant to receive the Medal of Honor. Other conscientious objectors who have been awarded the Medal of Honor are Thomas W. Bennett and Joseph G. LaPointe, both medics who served during the war in Vietnam. Alvin York, the most decorated American soldier during World War I, also applied to be a conscientious objector, but was denied multiple times before finally serving in the Argonne Forest in France. As of 2005, conscientious objectors in several countries may serve as field paramedics in the army (although some do not consider this a genuine alternative, as they feel it merely helps to make war more humane instead of preventing it). Alternatively, they may serve without arms, although this, too, has its problems. In certain European countries such as Austria, Germany, Greece and Switzerland, there is the option of performing civilian service, subject to the review of a written application or after a hearing about the state of conscience. In Germany, however, the draft was suspended in 2011. In Greece, civilian service is twice as long as the corresponding military service; the Swiss Civilian Service is one and one-half times longer. In 2005, the Swiss parliament considered whether willingness to serve one and a half times longer than an army recruit was sufficient proof of sincerity, citing that the cost of judging the state of conscience of a few thousand men per year was too great. In the United States, military personnel who come to a conviction of conscientious objection during their tour of duty must appear in front of a panel of experts, which consists of psychiatrists, military chaplains and officers. In Switzerland, the panel consists entirely of civilians, and military personnel have no authority whatsoever. In Germany, the draft has been suspended since 2011. These are common questions from Swiss hearings. By and large, these are asked in many other countries. They help to determine if the objector is politically motivated or if he is just too lazy to serve the country; or if he truly has a conflict stemming from his conscience. Arguments like "The army is senseless," "It is not just to wage wars," or opposition to involvement in a specific war (World War II, the Vietnam War, the Iraq War; a hypothetical war of West Germany against fellow Germans from the GDR during the Cold War) will hardly ever be accepted. He has only, and convincingly, to show that his conscience does not allow participation in an organization which is intended to use violence. ↑ On July 30, 2001, explicit clarification of the International Covenant on Civil and Political Rights Article 18 was made in the United Nations Human Rights Committee general comment 22, Para. 11: "Special Rapporteur on freedom of religion or belief. Framework for communications. Conscientious Objection". Office of the United Nations High Commissioner for Human Rights. Retrieved 2012-05-07. ↑ "International Covenant on Civil and Political Rights; of the United Nations High Commissioner for Human Rights". Retrieved 2008-05-15. ↑ UN Commission on Human Rights (March 8, 1995). "UN Commission on Human Rights, Conscientious objection to military service., 8 March 1995, E/CN.4/RES/1995/83 (See point #2)". UN Commission on Human Rights. Retrieved 2009-12-02. ↑ United Nations High Commissioner for Human Rights (April 22, 1998). "Conscientious objection to military service; Commission on Human Rights resolution 1998/77; see preamble "Aware..."". United Nations High Commissioner for Human Rights. Retrieved 2009-12-08. ↑ "Conscientious objection to military service; E/CN.4/RES/1998/77; See introductory paragraph". UN Commission on Human Rights. April 22, 1998. Retrieved 2009-12-09. ↑ "Conscientious objection to military service, Commission on Human Rights resolution 1998/77, Navigation to document: press "next" four times, see bottom listing, and at the right choose letter for language ("E" for English) Document: CHR 54th 4/22/1998E/CN.4/RES/1998/77". United Nations Human Rights, Office of the High Commissioner for Human Rights. 1998. Retrieved 2008-04-24. 1 2 D. CHRISTOPHER DECKER; AND LUCIA FRESA (29 March 2001). "THE STATUS OF CONSCIENTIOUS OBJECTION UNDER ARTICLE 4 OF THE EUROPEAN CONVENTION ON HUMAN RIGHTS, 33 N.Y.U. J. INT'L L. & POL. 379 (2000); See pages 412–424, (or PDF pages 34–36)" (PDF). New York University School of Law, Issues – Volume 33. Retrieved 2009-12-02. ↑ "Campaigns: International Day on Conscientious Objection". Retrieved 2014-05-10. 1 2 Robert Paul Churchill, "Conscientious Objection", in Donald K. Wells, An Encyclopedia of War and Ethics. Greenwood Press 1996. ISBN 0313291160 (p.99- 102). ↑ "The Imperatives of Survival". Nobel Foundation. 1974. Retrieved 2008-04-30. ↑ "International Covenant on Civil and Political Rights". Office of the United Nations High Commissioner for Human Rights. Archived from the original on 2008-07-05. Retrieved 2008-05-15. ↑ "A Conscientious Objector's Guide to the UN Human Rights System". War Resisters International. Retrieved 2008-04-30. ↑ "Special Rapporteur on freedom of religion or belief. Framework for communications. Conscientious Objection". Office of the United Nations High Commissioner for Human Rights. Retrieved 2008-05-15. ↑ "Conscientious objection to military service; E/CN.4/RES/1998/77; See Point #5". UN Commission on Human Rights. April 22, 1998. Retrieved 2009-12-09. ↑ United Nations High Commissioner for Human Rights (April 22, 1998). "Conscientious objection to military service; Commission on Human Rights resolution 1998/77; see point *7". United Nations High Commissioner for Human Rights. Retrieved 2009-12-08. ↑ Murray, John Courtney (1967-06-04). "Selective Conscientious Objection; Editor Note: An address given at Western Maryland College, June 4, 1967. First published as pamphlet entitled "Selective Conscientious Objection" by Our Sunday Visitor (Huntinton, IN: Our Sunday Visitor, Inc.). Republished as "War and Conscience" in A Conflict of Loyalties: The Case for Selective Conscientious Objected, 19–30, ed. by James Finn, (New York: Gegasus, 1968).". Woodstock Theological Center. ↑ Random, Jack (May 25, 2005). "Just Say No: The Case for Selective Conscientious Objection". Retrieved 26 January 2009. ↑ "Origin of the Seventh Day Adventist Reform Movement". ↑ Staff of the Catholic Peace Fellowship (2007). "The Life and Witness of Ben Salmon". Sign of Peace. 6.1 (Spring 2007). ↑ Torin Finney (1989). 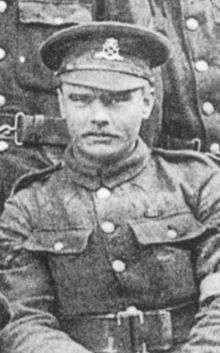 Unsung Hero of the Great War: The Life and Witness of Ben Salmon. pp. 118 and 119. ↑ Mazal, Peter (21 October 2003). "Selected Topics of Comparison in Christianity and the Bahá'í Faith". Retrieved 13 September 2006. ↑ Effendi, Shoghi. Unfolding Destiny. pp. 134–135. ↑ D. CHRISTOPHER DECKER; AND LUCIA FRESA (29 March 2001). "THE STATUS OF CONSCIENTIOUS OBJECTION UNDER ARTICLE 4 OF THE EUROPEAN CONVENTION ON HUMAN RIGHTS, 33 N.Y.U. J. INT'L L. & POL. 379 (2000)" (PDF). New York University School of Law, Issues – Volume 33. Retrieved 2009-12-02. ↑ Smith, p. 321. The Conscription Crisis of 1917 also barred immigrants and objectors from voting. This bar on entry was overturned in the 1920s, allowing immigrants to escape Soviet repression. ↑ Peter Dueck; Conrad Stoesz; Grant Klassen; Lynette Wiebe; Elsie Rempel; Lawrence Klippenstein; Alf Redekopp; Dan Dyck; John C. Klassen; Grant Klassen; Edward Enns; Jake K. Wiens; David Schroeder. "Alternative Service in the Second World War: Conscientious Objectors in Canada: 1939 – 1945". Retrieved 2009-04-27. ↑ This is taking into account, however, that objectors were generally expected to give some reasons, e. g. slightly altered copies from internet sources, that got them accepted, and not necessarily (mildly said) the real reasons. Going beyond the Basic Law (as ruled in the minority vote in the 1985 decision), only he who could not do any military service at all was allowed to object. Who simply preferred the Zivildienst was (correctly) not; nor was who instead of objection to any war merely objected to a war among co-nationals, or who preferred the Communist cause (constitutionality of these latter cases and suchlike was contested). ↑ The objection is only feasible as a general judgment. The appeal to the Constitution, however, which was sometimes heard in its place, was not a valid argument, since the Constitution, while enacting equality of sexes in one article, enacted male-only obligation to serve in another, and hence lex specialis was to be applied. ↑ From the Torato Omanuto entry: "from 800 men in 1968 to 41,450 in 2005 compared to 7 million for the entire population of Israel. In percentage terms, 2.4% of the soldiers enlisting to the army in 1974 were benefiting from Torato Omanuto compared to 9.2% in 1999, when it was projected that the number would reach 15% by the year 2012." 1 2 , HCJ 6298/07. ↑ The decree was issued in October 1918. Smith, p. 329. ↑ Peter Brock and Nigel Young, Pacifism in the Twentieth Century. Syracuse University Press, New York, 1999 ISBN 0-8156-8125-9 (pp. 96–7, 311). ↑ "Chamber Judgement Ulke vs. Turkey" , Accessed June 7, 2006. ↑ "Prisoner of conscience escapes and is rearrested". Amnesty International. 28 April 2011. Archived from the original on 3 December 2012. Retrieved 2 May 2011. ↑ A.J.P. Taylor, English History, 1914–1945 (Oxford University Press, 1990), p116. ↑ Adrian Gregory, 'Military Service Tribunals, 1916–1918' in J. Harris (ed.) Civil Society in British History. (Oxford, 2003). ↑ Lois Bibbings, Telling Tales About Men(Manchester University Press, 2009). 1 2 Jappy, M.J (2001). Danger UXB The Remarkable Story of the Disposal of Unexploded Bombs During the Second World War. Channel 4 books. p. 92. ISBN 0-7522-1938-3. ↑ Siuslaw National Forest; History Department; Portland State University. 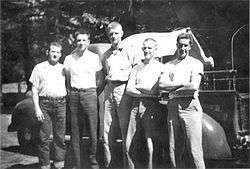 "Camp 56: An Oral History Project: World War II Conscientious Objectors and the Waldport, Oregon Civilian Public Service Camp" (PDF). Center for Columbia River History. Archived from the original (PDF) on 2013-06-04. Retrieved 2013-08-15. ↑ Gillette v. United States,401 U.S. 437 (1971). ↑ GmbH, Frankfurter Allgemeine Zeitung. "Aktuelle Nachrichten online". FAZ.NET. Retrieved 2016-10-12. ↑ Beratungsstelle für Militärverweigerung und Zivildienst.